Review: 2012-10-06, aggressive start and good fight between Murat Direkci and Nieky Holzken: three stars. Nieky Holzken ranked as the No.9 middleweight in the world, entered the fight with a record of 77-10-0 while Murat Direkci had a record of 69-15-2. Direkci vs Holzken is on the undercard of Remy Bonjasky vs Anderson ‘Braddock’ Silva – GLORY 2 Brussels. Watch the video! Review: 2012-10-06, fantastic knockout in the second round between Marc de Bonte and Murthel Groenhart: one of the best KOs of the year 2012: four stars. Marc de Bonte ranked as the No.5 super light heavyweight in the world, entered the fight with a record of 78-9-2 while Murthel Groenhart had a record of 49-14-3. 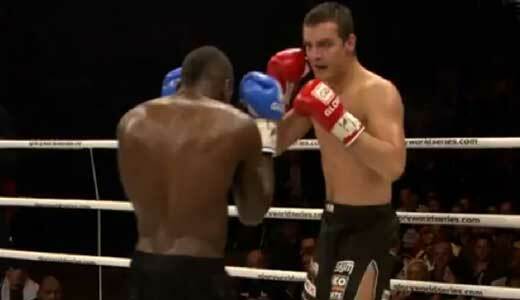 De Bonte vs Groenhart is on the undercard of Remy Bonjasky vs Anderson ‘Braddock’ Silva – GLORY 2 Brussels. Watch the video!